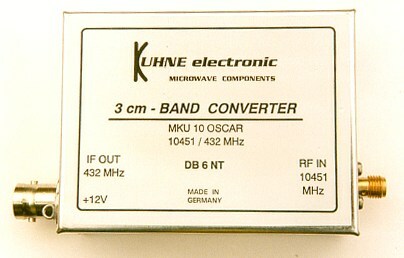 I have decided not to purchase the DB6NT MKU-10-OSCAR receiver ($300), since it looks like the AO-40 X-band (10GHz) TX is not functional. I did purchase a full fledged commercial surplus X-band transverter system made by MA/COM - the "RAPAC" unit, also called a "white box" - so I can learn about X-band. I am converting this to work in the 10Ghz HAM band. MA/COM RAPAC X-band transverter system - aka "white box" - as received. The first step is to remove all but the essential components. I added the WR-90 to SMA adapter (with red cover on SMA) for testing. 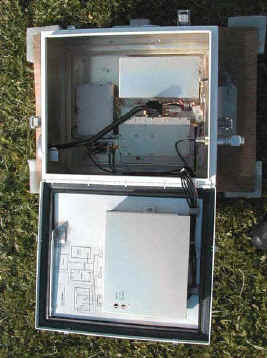 The box on the left is the LO and the other contains the TX and RX mixers, etc. Here's the T/R relay switch for the IF (144MHz) radio interface. 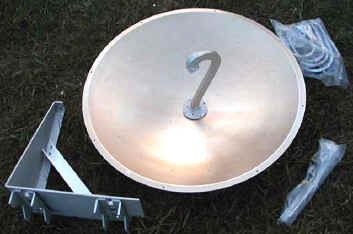 It is a AOS144 from Down East Microwave. 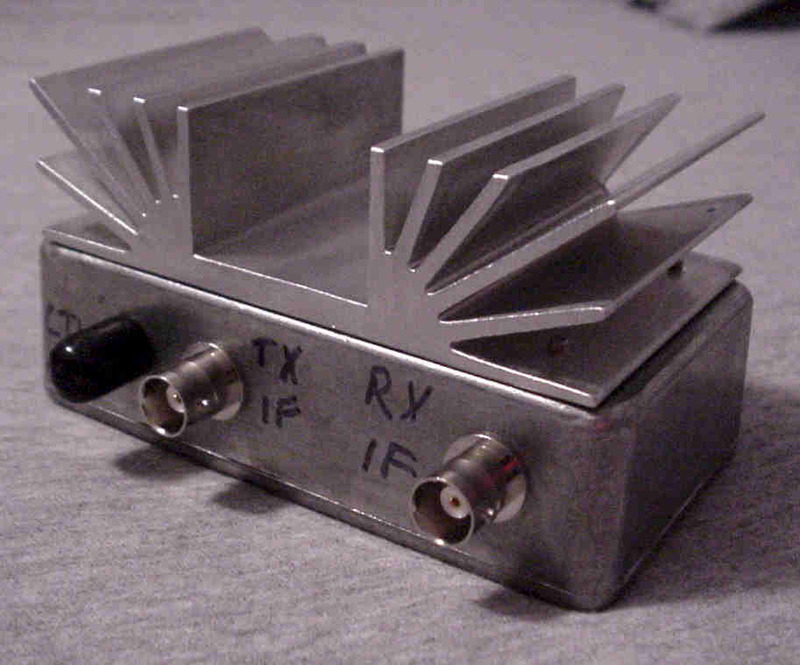 This will also attenuate the output of the IF transmitter down from 25W to 100mW to avoid damage to the White Box. I built the power supplies - see below. The 20 volt power supply I built. -5v power supply I built - top and bottom views. I have not added the 1uF filter capacitors on the input and output leads of the 7805 because I accidentally threw them away - those little surface mounts sure are small. New power supplies mounted in the original power supply lid. January 31, 2002: Current status of my "White Box". 144MHz IF = 10.368GHz TX/RX. 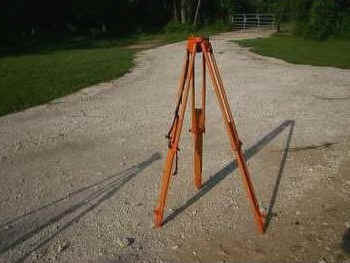 The tripod I will use with my system.